Some of these recipes have been creamy and rich, while others have been light and fruity. A lot of this difference comes down to the specific ingredients used and the flavors. In this recipe, from marystestkitchen.com, there is actually a combination of the two styles. 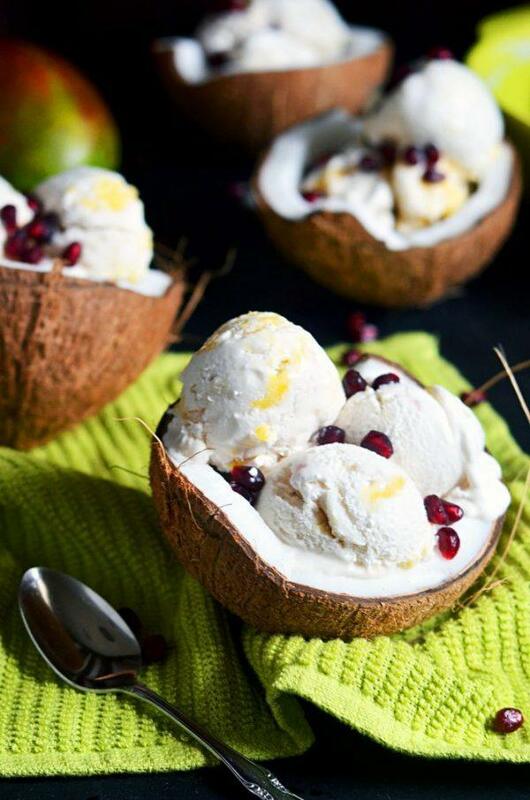 The ice cream is one that relies on coconut cream, so it tends to be rich and creamy. But, at the same time, the recipe also uses fruit for flavoring, which helps to make it fresh and vibrant. To me, it sounds like the end result would be perfect for a warm summers day. 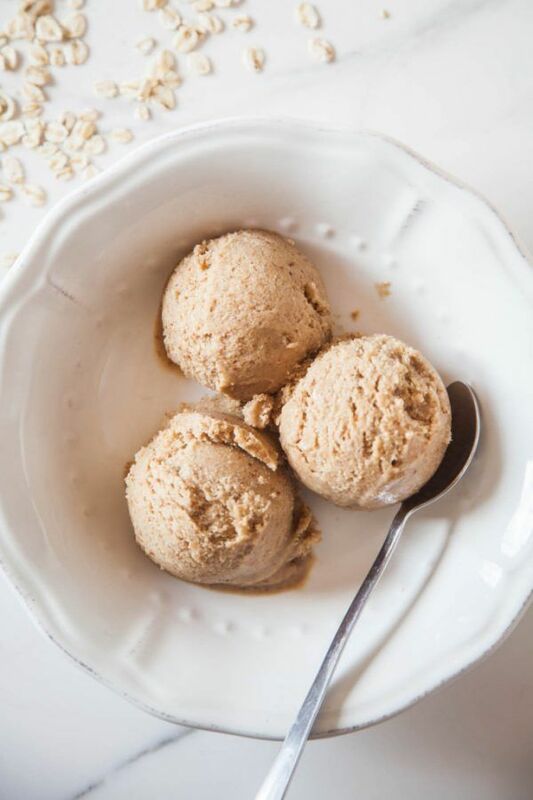 This ice cream recipe comes from forkandbeans.com and it’s another example of a vegan version of a classic ice cream flavor. Now, rocky road seems like a complex flavor to make but that isn’t necessarily the case. Instead, the author provides fairly simple directions and ingredients, which would make this an easy ice cream flavor to make at home. This is also another recipe that doesn’t rely on an ice cream maker, so don’t worry if you don’t happen to have specialized equipment. Speaking of fairly simple recipes, here’s another one. This time, the recipe comes from simpleveganblog.com and it contains just four ingredients. Now, one of those ingredients is oreo cookies from the store but there are many sandwich cookie recipes online if you would rather make your own instead. Regardless, the process of making the ice cream is very easy. This is also a recipe that you can make in an ice cream maker if you want, or you can choose to make it without an ice cream maker. With this ice cream, from bakingmagique.com, my favorite thing is probably the way that it looks in the bowl, although the choice of flavors is also pretty appealing. 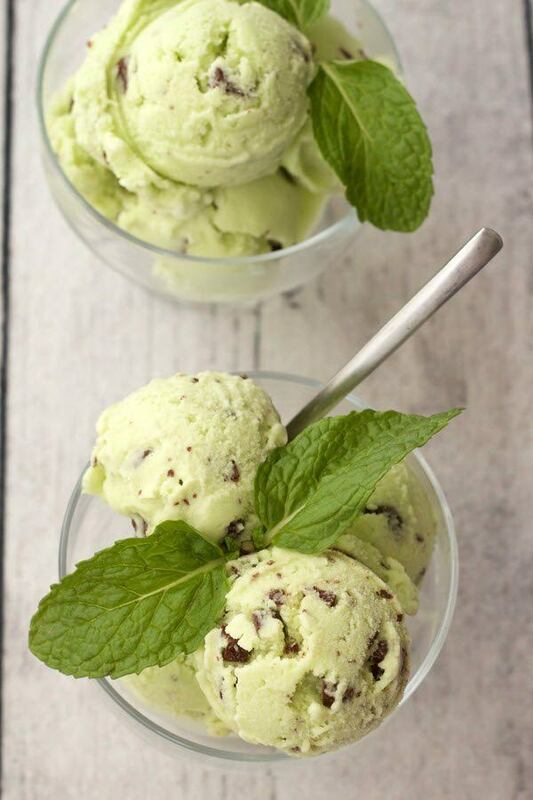 I love the way the author added pistachios on top of the ice cream in the images, especially as doing so makes for such a great color comparison. 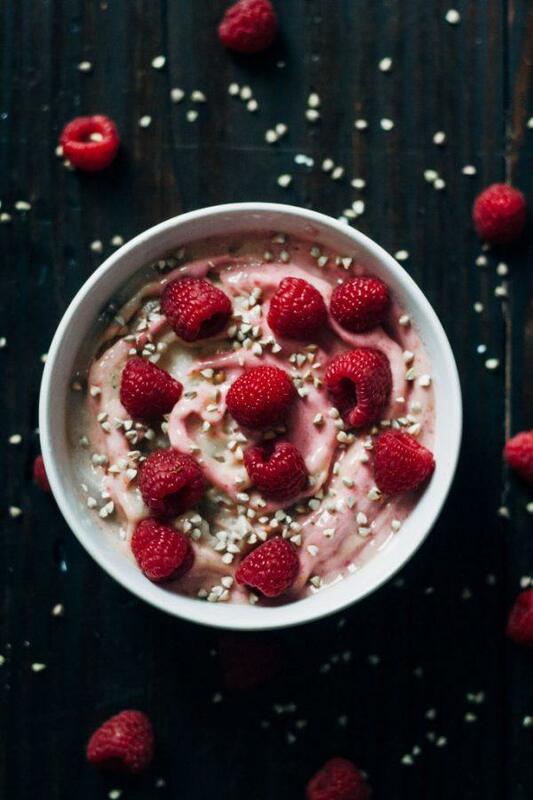 The recipe is another one that relies on coconut milk, so it would end up being a creamy and luxurious while also containing the fruitiness of raspberries. Sounds like a perfect combination all around. How can you go wrong with chocolate chips and cookie dough? 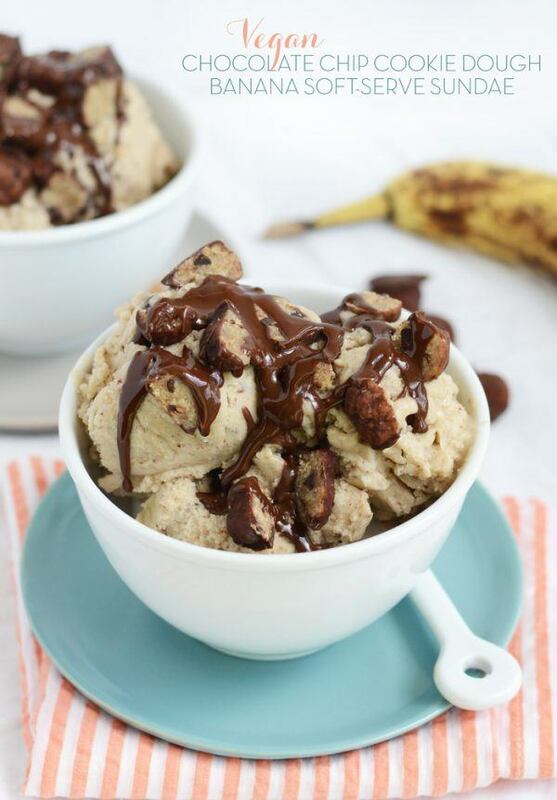 This particular recipe comes from fitfoodiefinds.com and it seems like a perfect choice for anyone who loves cookie dough. There are actually a few different components to this recipe, including the ice cream itself and the chocolate sauce, as well as a link out to the cookie dough bites that you see in the image. But, it’s easy to see that the dessert really is worth the effort required, especially if you want something that tastes a little bit decadent (even though it’s actually a pretty healthy recipe). 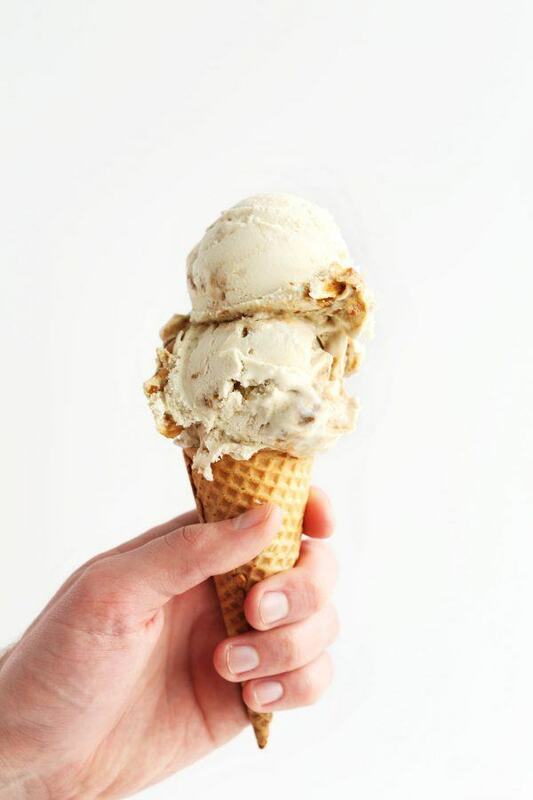 Salted caramel is too good to miss, so I had to make sure at least one example of this flavor made it onto the list. In this case, the recipe comes from minimalistbaker.com. 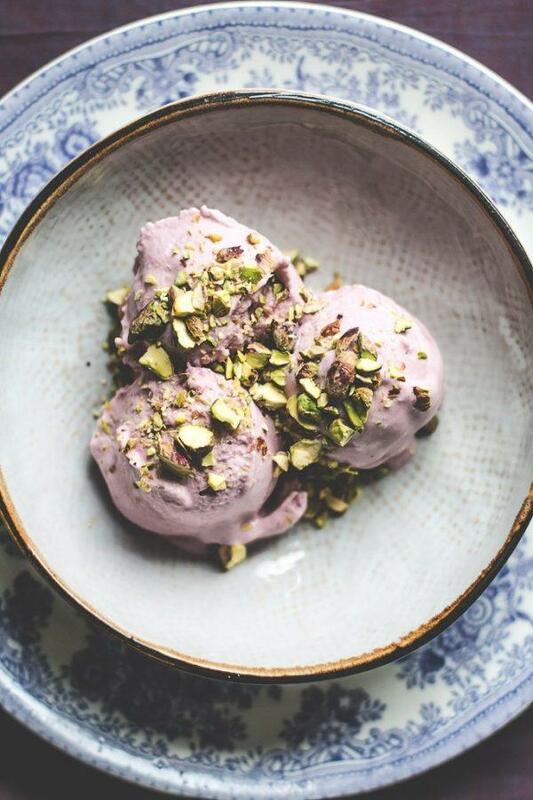 The recipe is another reminder that vegan ice cream doesn’t have to be boring. Instead, there are a range of ways to add in interesting flavors. 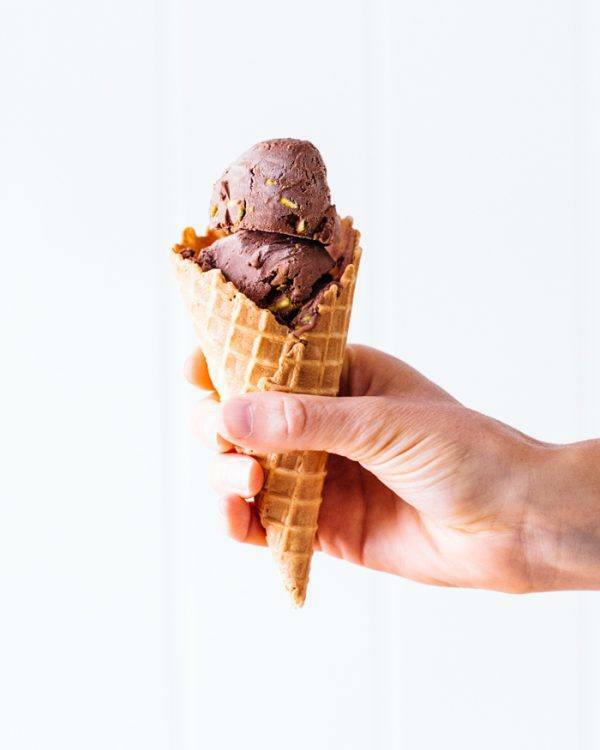 In fact, the base approaches for vegan ice cream can often meant that it ends up with a more complex and more appealing overall flavor profile. 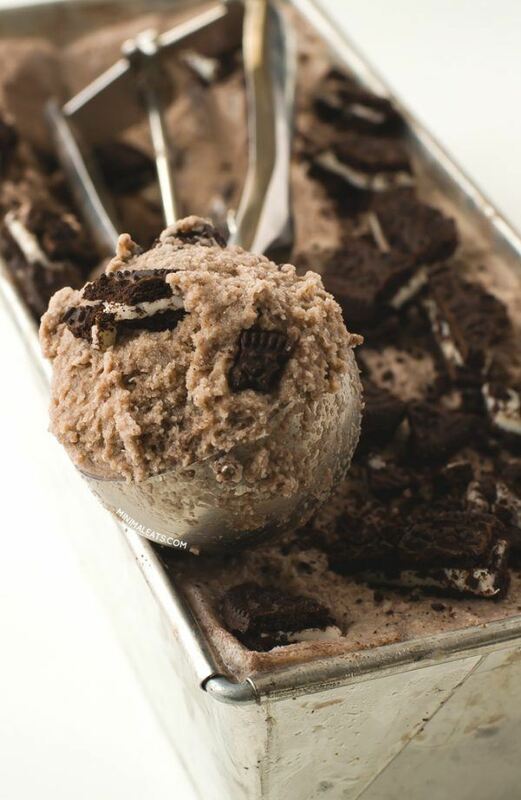 For this recipe, the end result looks like it would taste amazing and the ice cream would be surprisingly easy to make. Mocha chip is another fun flavor and the recipe here comes from houseofyumm.com. With this recipe, the mocha flavor comes from actually using brewed coffee when making the ice cream. The approach works surprisingly well, as it adds in the coffee flavor you are looking for without much hassle. In fact, the entire recipe is fairly simple, although it is one that relies on an ice cream maker. If you’re looking for fruity ice cream, mango tends to be a pretty appealing flavor. This recipe comes from mariashakova.com and you’ll be pleased to know that it doesn’t require an ice cream maker. The recipe is particularly interesting to check out as the author goes into detail about an effective technique to make homemade ice cream that tastes great and doesn’t require a lot of effort. That technique alone makes the recipe worth looking at, although it does sound like the ice cream would taste great as well. I mentioned a Neapolitan ice cream cake earlier in this post but we can’t overlook simple Neapolitan ice cream either. The recipe for this one comes from rawedibles.blogspot.com and it is actually another fairly simple recipe, despite the fact that there are three flavors to deal with. The directions for each of the flavors is given independently, so you could just choose to make one or two of them if you wanted to – the choice is entirely yours. Many of the flavors we’ve talked about have been fairly complex but we shouldn’t overlook the advantage of simple ice cream flavors as well. 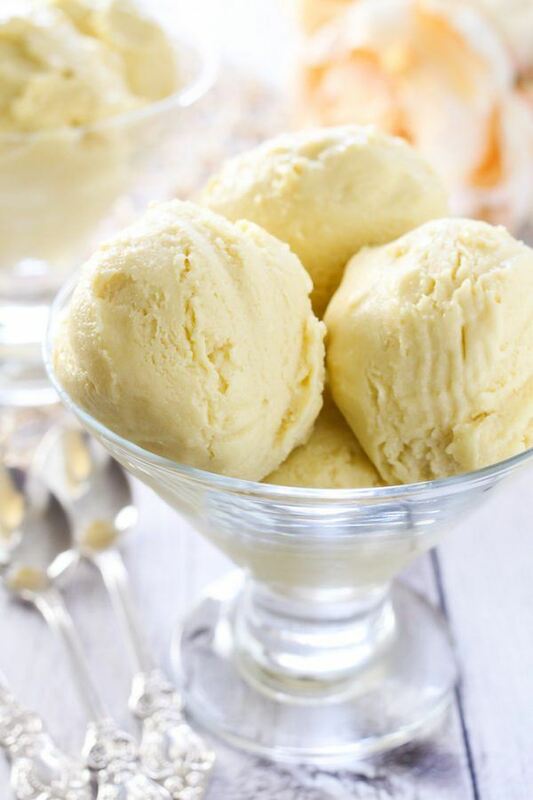 The classic example of that is vanilla ice cream, like this recipe from mydishisbomb.com. To be honest, I’m pretty impressed with the idea of vegan vanilla ice cream. 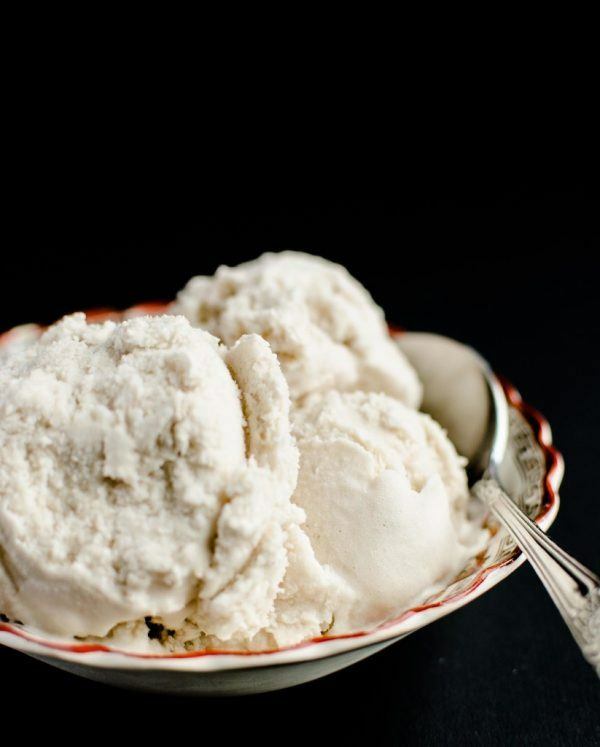 After all, vanilla is a fairly subtle flavor and it would be easy for the flavor to be overwhelmed by the base ingredients of the ice cream. However, that doesn’t seem to happen here and the author balances the different flavors in the recipe nicely. 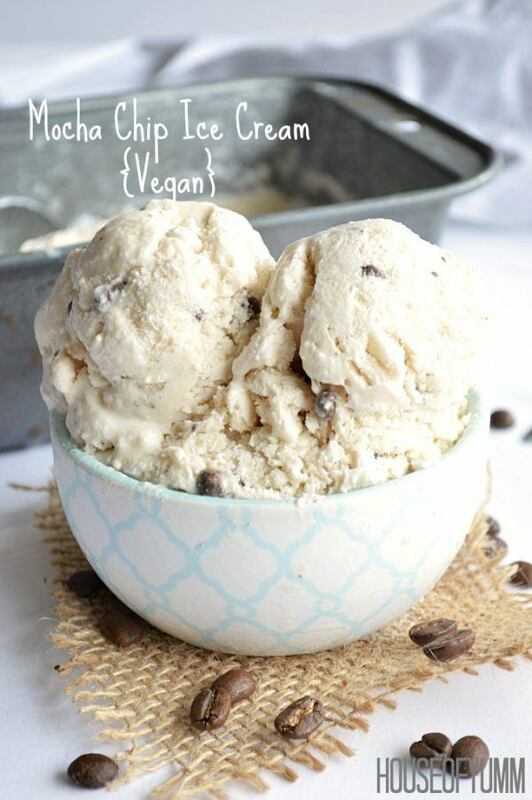 With a few recipes like this to rely on it becomes pretty easy to get your ice cream fix on a vegan diet. Without a doubt, the key flavor in this recipe is chocolate but that’s not the whole story. Instead, the recipe takes advantage of a few other key flavors to make the end result a bit more complex and more interesting. As the title suggests, the key additions here are pistachios, along with salt to create a salted chocolate undertone. The combination seems to work together well and you can find all of the ingredients and instructions at acouplecooks.com, if you’re thinking of trying this one out for yourself. This recipe comes from wellandfull.com and it was promoted as a good recipe for Valentine’s Day, which I tend to agree with. 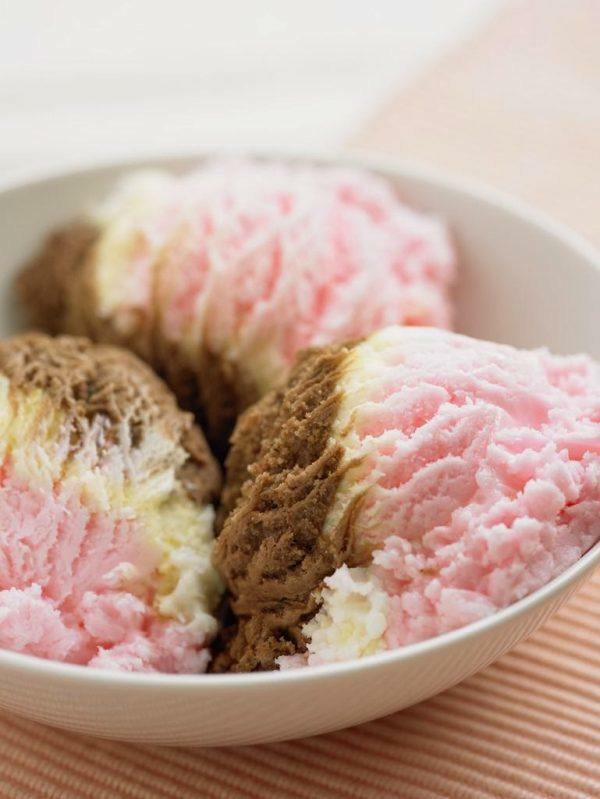 After all, the ice cream does have a nice pink color, which comes from the fruit, rather than from artificial colorings. Like many of the recipes on this list, the dish is fairly simple to make and it’s also pretty healthy. So, the ice cream might taste like a dessert but it’s actually healthy enough that you could eat it for breakfast if you wanted to. I love the way this ice cream looks. To me, it looks like normal ice cream that you might buy at a grocery store or even an ice cream parlor. It’s not though. Instead, it’s another vegan recipe and one that would taste exceptionally good. It is worth noting that in this case, the specific shade of green does come from food coloring, but the author does provide an alternative coloring approach for people who want to be using natural ingredients. Either way, the recipe comes from lovingitvegan.com and you can find all of the information you need over there. 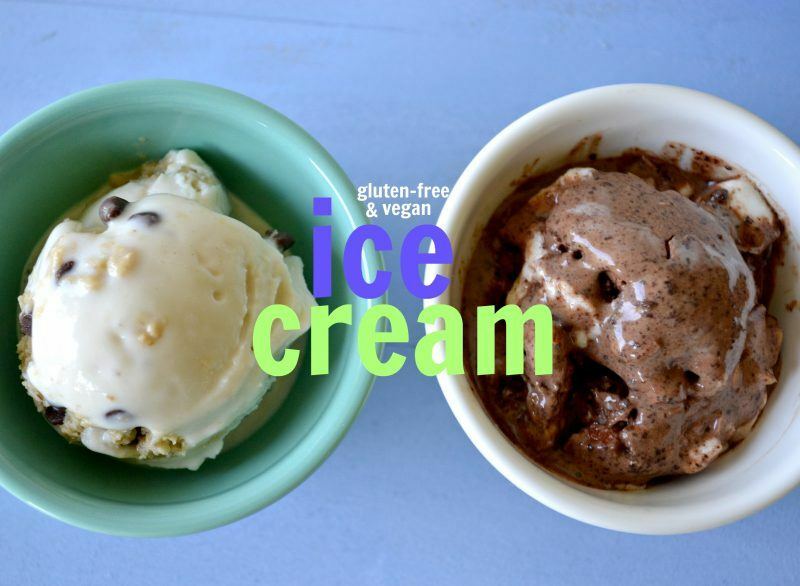 This ice cream recipe comes from hostthetoast.com and I love the presentation just as much as the ice cream itself. The choice of coconut and mango flavors works really well and it would make the dessert especially refreshing. For that matter, vegan ice cream tends to be more refreshing than regular ice cream because it doesn't use dairy ingredients. This final recipe comes from wallflowergirl.co.uk and it's a little bit more unusual in the choice of flavors. 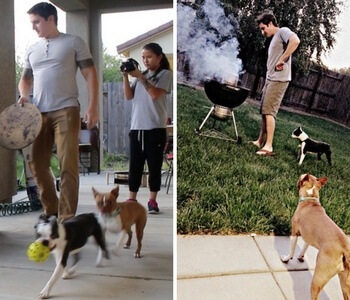 This isn't a bad thing though. Instead, I tend to find that the somewhat obscure ice cream flavors are often the best ones, especially if you find yourself getting bored by conventional ice cream. So, go ahead and give this one a try.